Windows Phone and Windows 8 have always had passionate developers with equally motivated fans (you). Two of your favorites are teaming up. Lazyworm Apps is teaming up with Seles Games to bring the popular RSS newsreader Weave to Windows 8. Weave has been around since the beginning of Windows Phone, becoming better with each and every update. The most significant update came out at the tail end of last year bringing with it support for Windows Phone 8. Besides getting praise from us here at Windows Phone Central, Weave has near universal acclaim in its Store ratings from all you out there. It’s a fast, fluid and beautiful application that should be at the top of your list of news readers. Personally, I can’t wait to see what the team comes up with. But we’ll all have to wait, the app is expected to be available for download until June. It will also still be published under Seles Games. 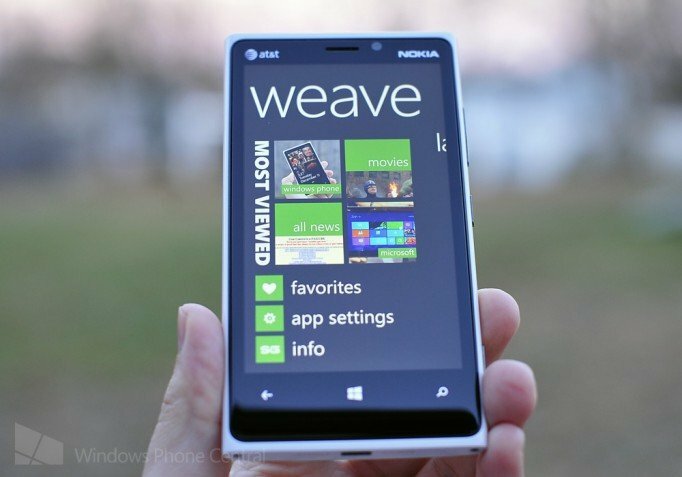 In the meantime you can download Weave for Windows Phone. There is a free version and a paid version ($9.99) that removes all the ads. If you’re hesitant about that price, just download the free version and check it out first. QR codes below, free on the left and paid on the right.